Whether you’re a new customer wanting to build a strong credit history or an established Visa® cardholder, obtaining a Visa® credit card opens up a whole new world of possibilities. Enjoy the exceptional convenience and reliability from one of the world’s leading payment brands. 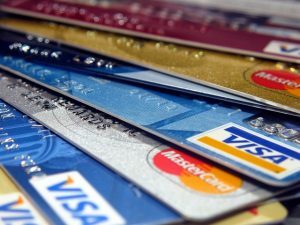 If you carry a balance on your existing credit card (you have credit card debt), you can consolidate them all on one balance transfer credit card that offers 0% interest for an introductory period. The main trade-off is a card with no balance transfer fee (usually 3% – 5%) or one with a 0% intro period. If it’s going to take awhile to pay off your debt, look for the longest 0% period possible. Compare Visa® credit cards. Whether you’re a new customer wanting to build a strong credit history or an established Visa® cardholder, owning a Visa® credit card opens up a whole new world of possibilities. Enjoy exceptional convenience and reliability from one of the world’s leading payment brands. Compare and Apply today.